Representing different, but intertwining sections of my life/record collection, Mountain Goats and Jawbreaker cassettes got a lot of wear in my teenage boombox. They’ve come together magically via AV Club’s Undercover series. Makes perfect sense. 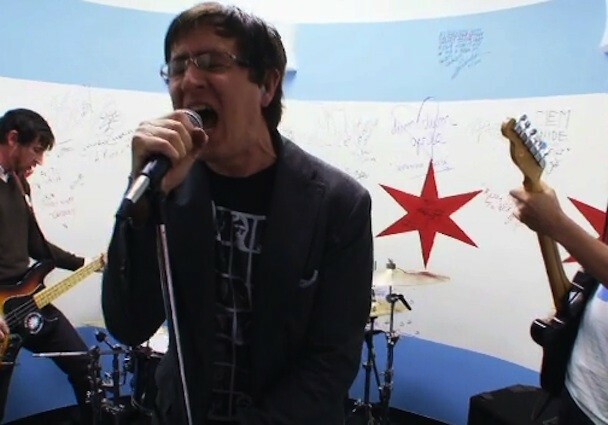 Darnielle & Co. tackle “Boxcar” from 1994’s 24 Hour Revenge Therapy. “1-2-3-4: Who’s punk, what’s the score?,” etc. Commenting as a guest. Or, you can log in. This comment is hidden as it has many downvotes. Click here to show it. Stereogum is an affiliate site of Billboard, a subsidiary of Prometheus Global Media, LLC. Sign Up / Forgot your password?